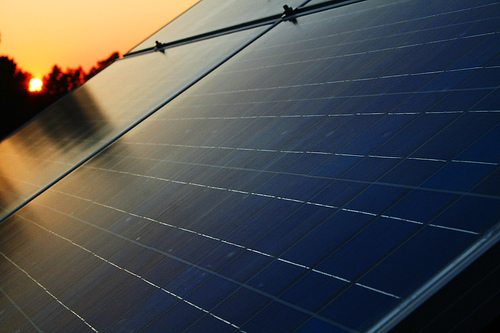 SunPower (NASDAQ:SPWRA) recently launched the SunPower™ E20 series of solar panels. The E20 are the industry’s first commercially available solar panels which provide a total area efficiency of more than 20%. The panels consist of SunPower’s efficient patented Maxeon™ cell technology, which currently holds the world record for having the highest efficiency among mass-produced solar cells. It has ventured into large-scale utility power projects only recently with the acquisition of PowerLight Corporation. The company’s primary competitors include First Solar (NASDAQ:FSLR), Suntech Power (NYSE:STP), and Yingli Green Energy Holding Com (NYSE:YGE). We currently hold a $16.20 price estimate for SunPower’s stock, which is trading around $17 in the market. The E20 series is designed to provide the superior feature all customers look for in a solar panel – higher power output at the given price. Along with the +20% efficiency, the E20 series provides additional features to boost system output, such as transformer-less inverters and anti-reflective coatings. We expect these enhanced features in the E20 solar panels to more than offset any price premiums on the product, providing a significant competitive advantage over its competitors. The panels have the potential to boost shipments of SunPower components across different sectors such as residential/commercial markets as well as utility and power plants. The recent acquisition of SunPower by Total – a French multinational energy company – is expected provide additional synergies to SunPower’s new range of products, such as the E20. A key advantage is the access to Total’s extensive supply network (Total operates in more than 120 countries), as well as Total’s $1 billion credit support over the next 5 years, which should enable accelerated development & capacity expansion for SunPower’s product offerings.